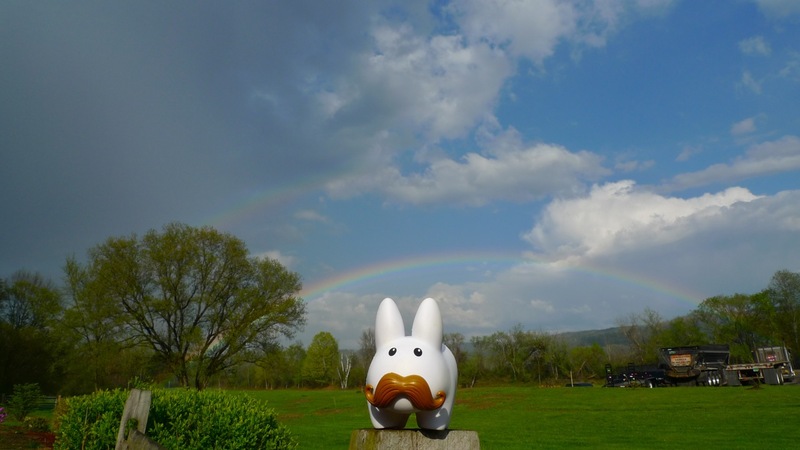 Year of the Labbit: Double Rainbow Across The Sky! Double Rainbow Across The Sky! With thunderstorms rolling in over Bellows Falls VT, Pipkin caught this wonderful double rainbow moment right as the blue skies were pushed off by dark, ominous clouds and he got caught in a bit of a sun shower. Double rainbow. I've never seen one. What does it mean?!?!?! Is it good luck for Pipkin?